outputs the human thing to do or say. yes it is some challenge for one to dispute the above. just try, it will make my day. what makes an A.I pack an item ? what makes an A.I pack a bicycle repair kit every time she goes to work ? what makes an A.I also pack a rain coat only sometimes ? It depends at what level of abstraction you are considering the system at. A modern computer can solve many puzzles, even beat Chess masters or Go champions… does its base code ‘binary’ contain puzzle solutions? I think not. The human brain doesn't natively have ‘puzzle solutions’ (excluding evolutionary genetic traits) but it can learn to solve puzzles. in other words it is most probably not one algorithm that you dump data into and outputs the human thing to do or say. Computers are serial devices; binary data is moved from the memory onto the processor stacks where it is run through logic gates comprised of transistors. The AND, OR, NOR, etc gates process the binary data to give results which are pushed back onto the stack or in to memory. Computers run on this very simple binary logic… that’s the ‘base’ algorithm. The high level languages we use are built from ‘C’ which is built from machine code. We have to program a computer to solve puzzles using hierarchical layers of abstract logic. We run a parallel processing schema; we don’t have a memory and a processor. Our whole cortex is constructed from logic gates. There is no one area dedicated to one specific job; processing and memory storage are achieved by the ‘logic gates’ the whole brain is comprised of. So like a modern computers base algorithm is ‘binary logic’ the brains base algorithm is temporal patterns which don’t innately contain ‘puzzle solving’ algorithms… but it can learn to solve them. So whilst you’re initial assumptions that an intelligent adults brain does contain the structures required for complex puzzle solving… it’s not an innate property; and the human brain at the lowest level of abstraction does indeed work on one algorithm that you… dump data into and outputs the human thing to do or say. As usual just my opinion of course. as well as the auto programming cmd mastercode a.i puzzle. what would make an A.I do a comparison and talk about it? 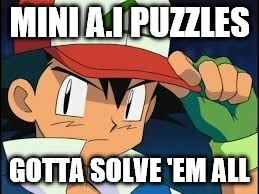 what would make an A.I. read this pointless thread? When to compare; when there is a pair of something curious and comparable to compare with. When to talk about it; when the AI wants to talk about it for social reasons. if it's pointless why U B reading it ? 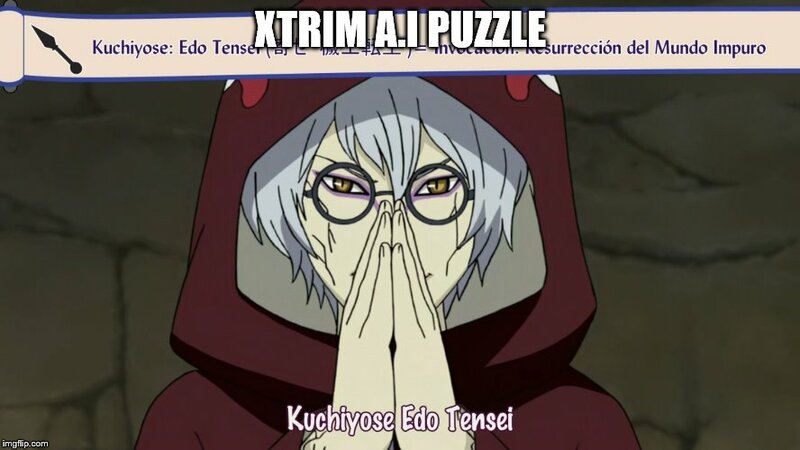 @hashirama wrong solution also its just so vague and not close to an algorithm. for the rest of the way she needs to turn left once more 3KM away at another traffic light. 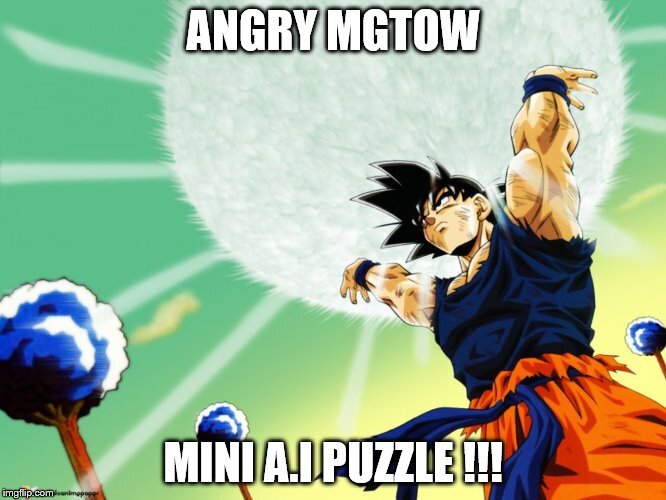 for hours about women despite him being a mgtow monk ? the above puzzles solution is mathematical operations only. 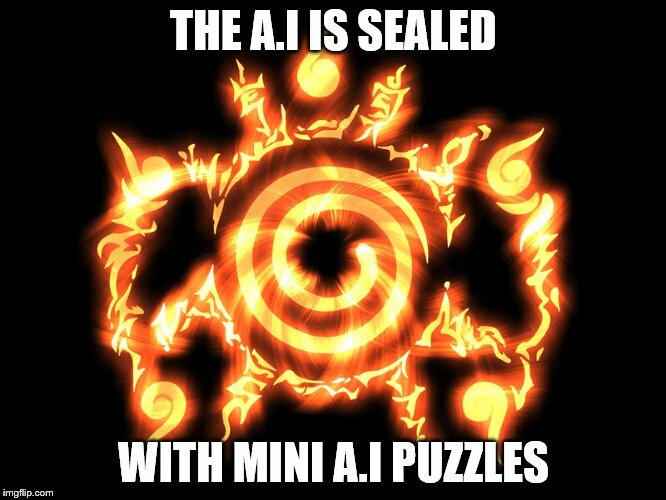 the A.I puzzle is how would an A.I solve it ? What even is that? It's not even math. here are two mini bosses for you to understand the puzzle. Why don't you solve "0 0 0 = 6", sir mini boss maker? I would love to see that answer. Oh, and "1 1 1 = 6", too, if you would be pleased.